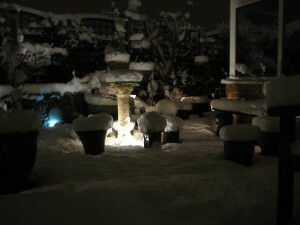 More photo’s in the gallery. 10 Years ago today I had just finished the Pennine way as part of my very enjoyable wander from John o’Groats to Lands End. looking at my diary brings back fond memories of a fantastic experience. The one thing I do remember about arriving in Edale was that I was now well past half way and ready for a few days staying in a holiday cottage – Luxury after 5 weeks camping! Well I’m obviously not the most prolific of ‘blogers’ around and I don’t even know if anybody is actually reading anything I do post but what the hell, I’ll post something anyway! hours in the car, a Channel Tunnel crossing and 7+hrs driving through France we arrived at Lauterbrunnen in Switzerland, a wonderful location! The drive was worth every second. This was our second visit to this area of Switzerland and it certainly won’t be our last. 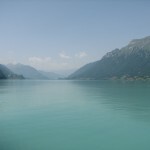 Thunersee and Thun – We caught the train to Interlaken and then a boat from Interlaken to Thun which criss-crossed Thunersee several times and provided excellent vistas in all directions. 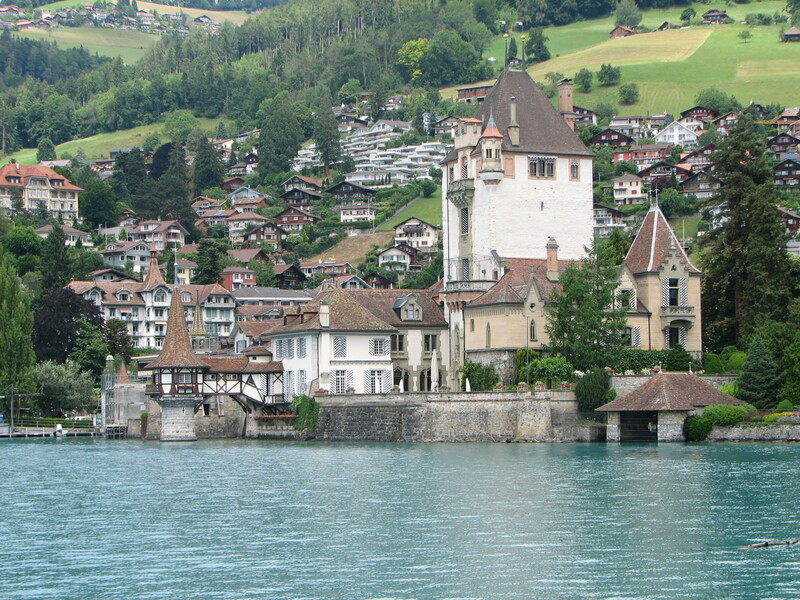 The photo Shows Oberhofen on Thunersee, an almost fairy tale castle and one of several castles around the Lake. 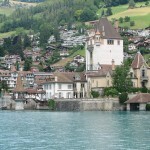 After arriving in Thun, one of the most enjoyable visits to a large town/small city we had, even in the rain, we wandered up to the Castle which gives great views over Thun and in all directions. 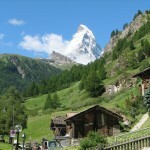 Zermatt, home of the Matterhorn – Wow! This is a wonderful, car free, metropolis with some good eateries and fantastic views. 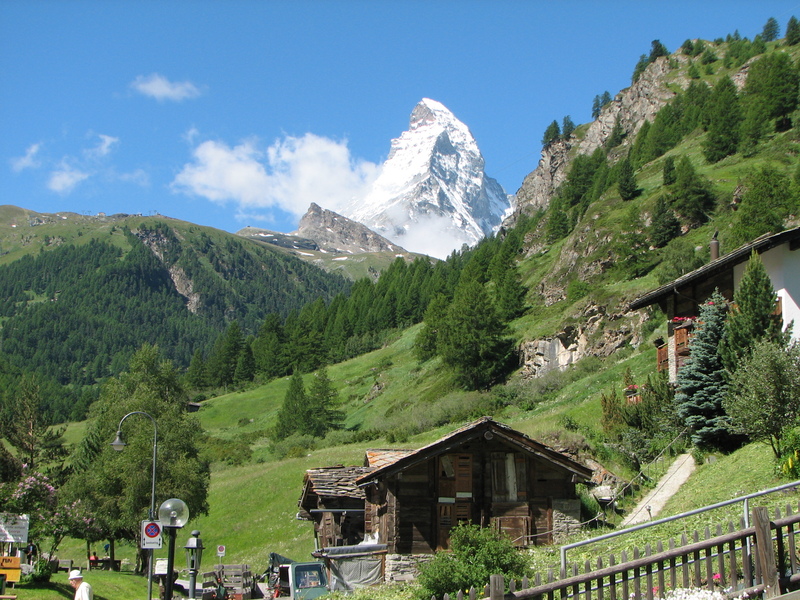 We opted to take the cable car all the way up to the Kleine Matterhorn, just a hint of disappointment because we couldn’t walk to the Italian border, but the views were still out of this world, although a little disrupted by some cables running out onto the mountain from the visitor centre/Cafe area. On the ride down we stopped off at a couple if the cable car stations to have lunch, a little wander and some more viewing of the spectacular scenery. 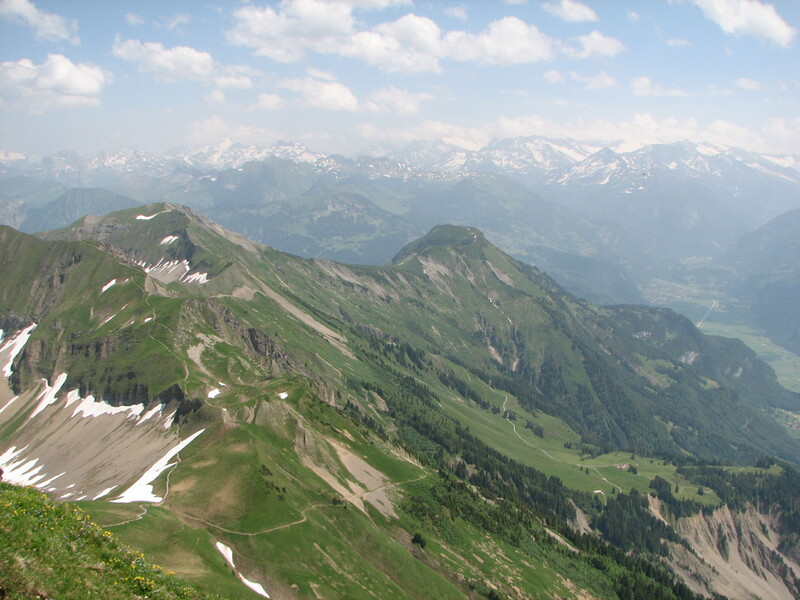 Hiking in higher country! Anyone who has visited here before will know that I like nothing better than a good stroll through the higher parts of the UK, particularly the Lake District, but Switzerland takes this to a whole new level! 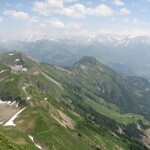 We set out to climb from a mere 2500ft (ish) upto around 7000ft with 2 x 2000+ft climbs and about 10miles in distance. What we didn’t plan on was a hot day and full sun! So our ‘epic’ walk ended up not quite so ‘epic’ but still an excellent days meandering with a good stiff climb and spectacular views. 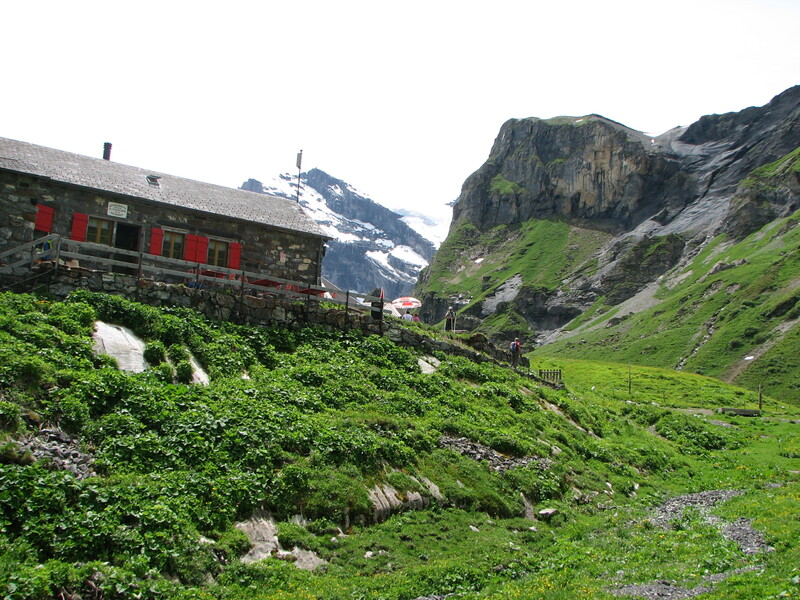 Our destination was Rockstockhutt which sits in a valley just below the Schilthorn of James bond “On Her Majesty’s Secret Service” fame. 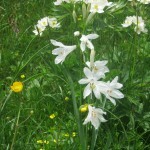 The walk was also a good way to discover the high alpine meadows so typical of the Alpine country and the flowers were in full bloom. 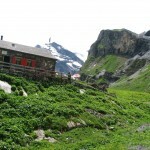 One of the highlights of the entire 2 weeks was the ride on a steam train up to the Rothorn. 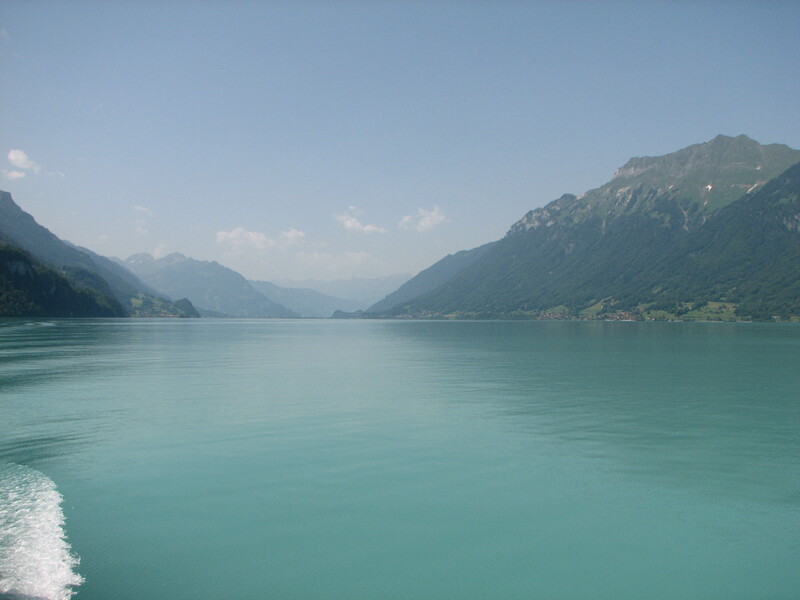 This was preceded by another cruise on Brienzsee, another spectacular lake and the one opposite Thunersee making Interlaken, well Interlaken (between lakes)! More great views looking across the lake but the weather was proving excellent so the panoramas from the top of the Rothorn were second to none. Almost all directions had great mountains rising ever higher and offering vistas I don’t think we exceeded! Passes! 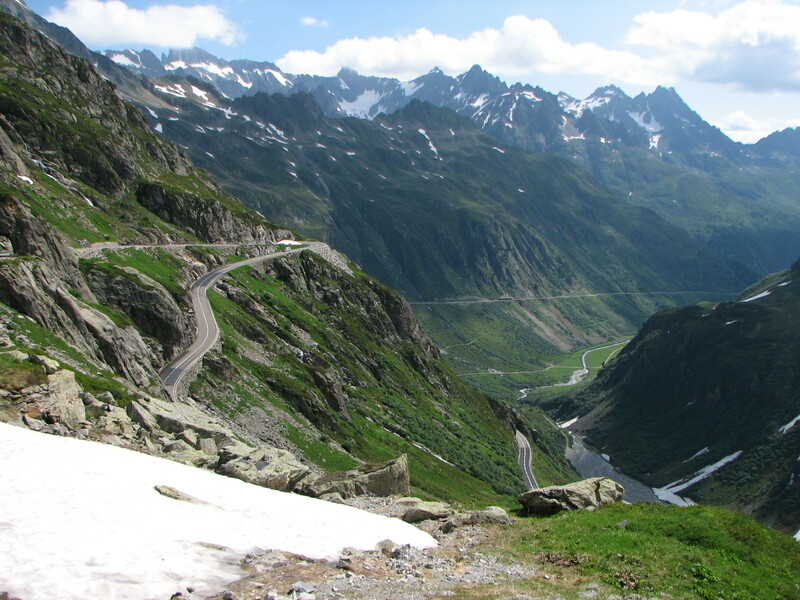 Our penultimate day was spent driving around the Sustens, Furka and Grimsel mountain passes – pity it was in a Ford Focus and not as exhilarating as I’d anticipated but great fun none the less and even more spectacular scenary. 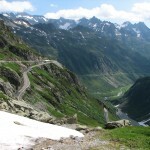 Furka Pass was the most rugged, with Sustens being the longest and most varied. Even the passengers agreed that it was a good day even if they did cramp my style a little!! Next time I need to hire a Ferrari or Aston!! 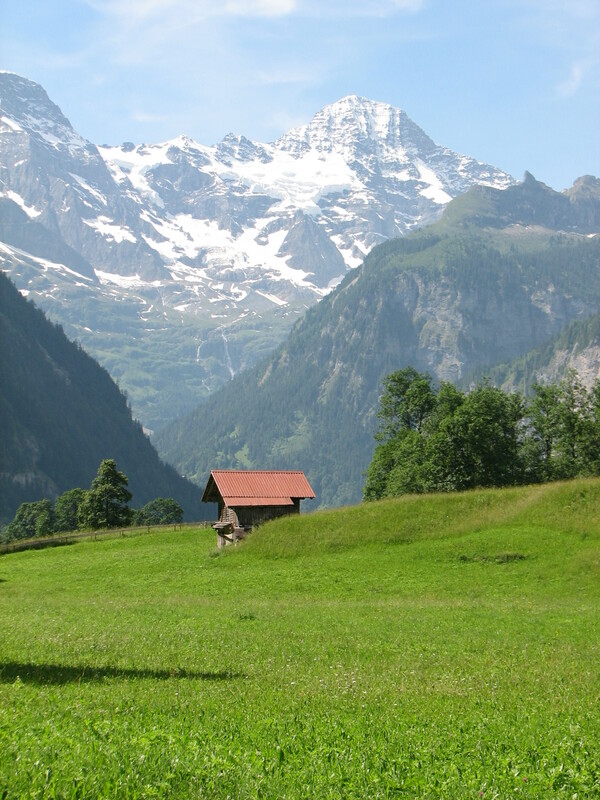 So this was a flavour of our few days away in Switzerland and we will return in teh not too distant future. 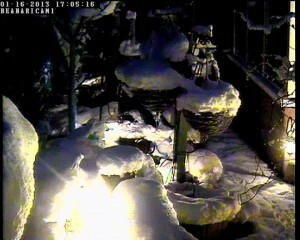 in the meantime it’ll be the Lake District for my hill fixes! 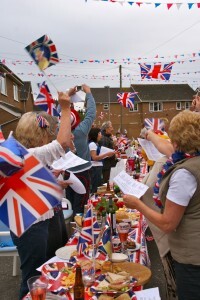 Well, there it was the Kings Park Street Party to celebrate the Queen’s Diamond Jubilee. The forecast suggested Saturday was to be the best day of the weekend – so the weather looked set fair. 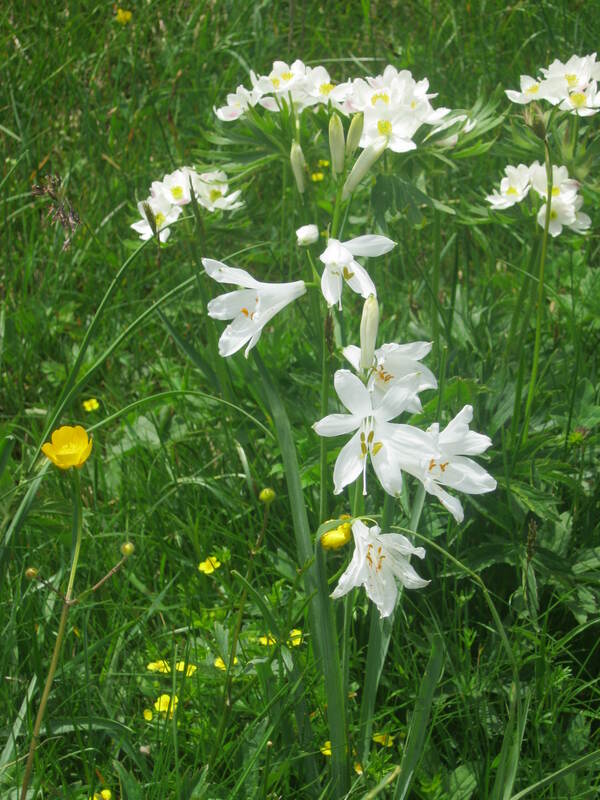 We awoke to bright skies, few clouds and warm sun – Yipee! By 10:30 am all cars were moved and residents were out decorating their houses and the street. By 3pm residents started arriving and by 3:30 the steet looked set for a Right Royal Celebration. Games were played, food was eaten, drinks were drunk and plenty of chatting and introductions were taking place. Everyone seemed to be enjoying themselves and the event was a roaring success. 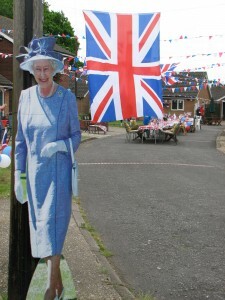 So as far as Kings Park Street party is concerned the party is over, but the weekend has only just begun and the decorations are still up – so we will now join the rest of Dereham to celebrate the Queen’s Diamond Jubilee – God Save the Queen! Addendum: We even made the BBC Local news. So, it’s now fast approaching. We’ve had meetings, we’ve submitted forms, we’ve bought bunting and planned activities, food, tables, music… And it’s still a month away. But it’s quite nice, we’ve been talking to our neighbours, we do anyway, but now we have a purpose – we’ve decided to do it and do it we shall. 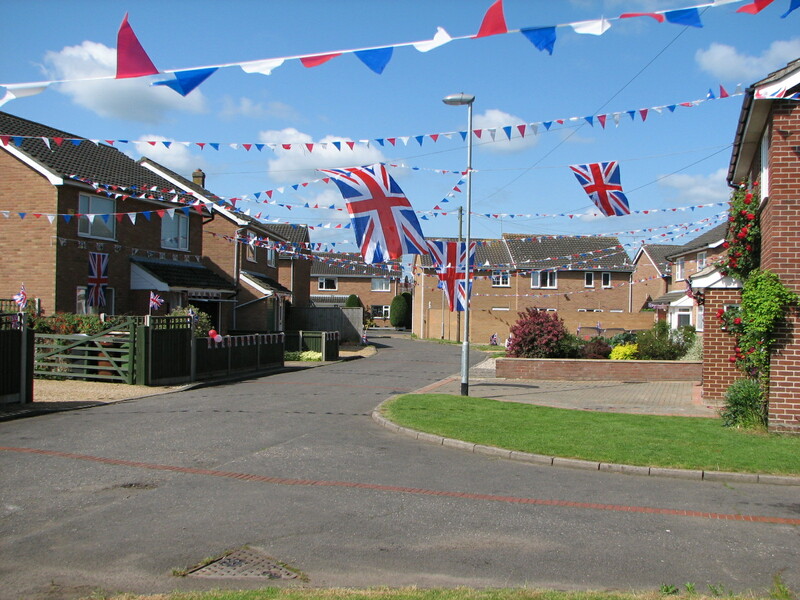 Yep – our street is holding a street party. It won’t be the biggest, it probably won’t be the smallest, but it’ll include many of our neighbours and friends and, you know what, not all of us have organised and attended a street party before. Let’s hope that in another 4 weeks or so it will all come together – even the rain won’t deter us, although it’s been trying hard now for a couple of weeks! It’s been a little while since myself and MrsB headed away on our own for a few days so for a little celebration we took ourselve off to the ‘Smoke’, well to be more precise Windsor, to the west of London. What a nice couple of days we had. We wandered around the old building that dominates the town of Windsor, apparently it’s owner was away for a few days too! We also had a little trip down the river which was very pleasent. Now, if like me you associate London and the South East as ‘all houses, cars and people’ I think you to would have been pleasently surprised at Runnymede. There were still pleanty of cars, people and houses but not quite as many as just a few minutes away, in fact you could have been mistaken into thinking you were in rural England, but not for long. However, if you ever get the chance to visit the seat of democracy it’s a lovely spot, even in the rain. After leaving Runnymede we headed to the Warner Brothers Studio tour – Wow, it’s impressive and if you have any Harry Potter fans in your midst it’s a must see visit – great little birthday present. About a week ago I took the plunge and decided to update my ageing website. The old site was ASP based. So, what should I use to produce my update? Notepad seemed a bit too basic and my design skills are, at best, limited so what should I use? I had heard of wordpress but knew nothing about it and a quick search soon revealed lots of hits for wordpress, along with other systems, but wordpress seemed to get good reviews, is free and is open source – so WordPress it was. Now, I know next to nothing of PHP, perl, MySQL… And, although installation turned out to be simple, working out where best to put it seemed, initially, very difficult. A quick e-mail to my ISP answered my questions and less than 3hrs later I had the fist inklings of a new website up and running. I’m no HTML guru, but I do understand some of the basics, but what I found hardest was getting to grips with the terminology and lack of HTML. Eventually I found suitable templates for my envisioned design and after plenty of trial and error, actaully very little error but lot’s of trial I got my first WordPress site ready to release – and boy am I happy with it! So, it was a 5 minute install, once I worked out where to put it. I then had to move it about, which turned out to be easy and I also decided to re-name the MySQL DB which proved simple enough to do. I’m a very long way off from being a wordpress expert and I now need to get into the world of PHP and properly start to understand the CSS world, but after less than a week of WordPress I do feel I have a reasonable grounding and a good place to start from. Oh, and a place for a blog!! Been working on setting up a new Beanari and it’s got all the frills, bells and whistles of a full blown site, all done with WordPress and after only a few hours of playing, so quite impressive. But am I really likely to make regular posts? I doubt it, I barely post anything on my facebook account!